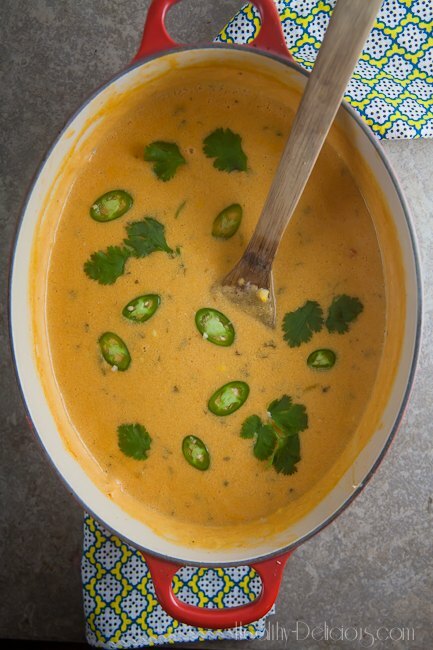 Thai Corn Chowder | Healthy. Delicious. Soup season is here! 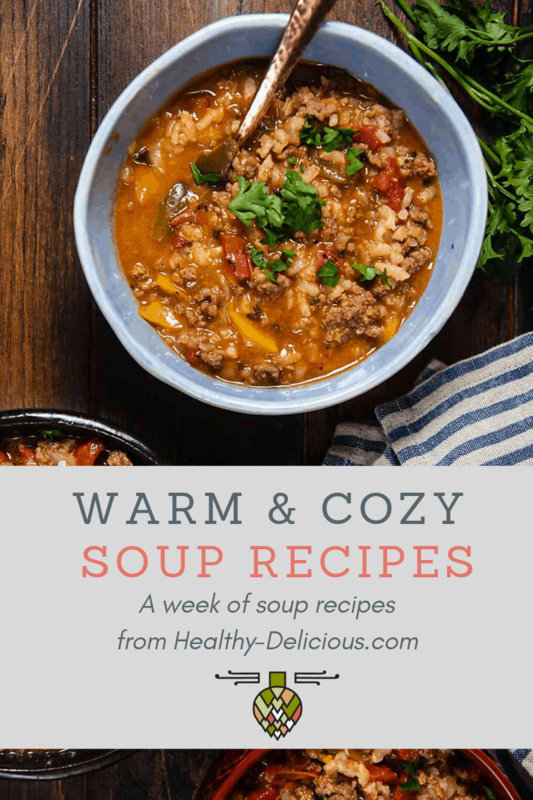 Soup season is here! I’ve been participating in #SundaySupper for a few months now and I absolutely love it. Now that I’ve learned the ropes, I decided to join in the other part of the movement: #WeekdaySupper. Just like it sounds, #WeekdaySupper is all about quick, easy meals that inspire people to venture into the kitchen during the week. Finding that inspiration (and energy!) is definitely something that I struggle with personally. I love to cook, but I still can’t muster up the energy to make dinner after work. I can’t even imagine what it must be like for people who don’t like to cook. I’d probably end up eating take out every night. This soup though? It’s kind of hard to come up with an excuse not to make it. It’s one of the easiest things I’ve made in a while, but it definitely doesn’t taste it. You start by making a quick broth out of corn cobs. If that sounds complicated, don’t worry – it couldn’t be easier and the results are well worth it. The process extracts every bit of flavor from the corn cobs and gives the soup its intense corn flavor. 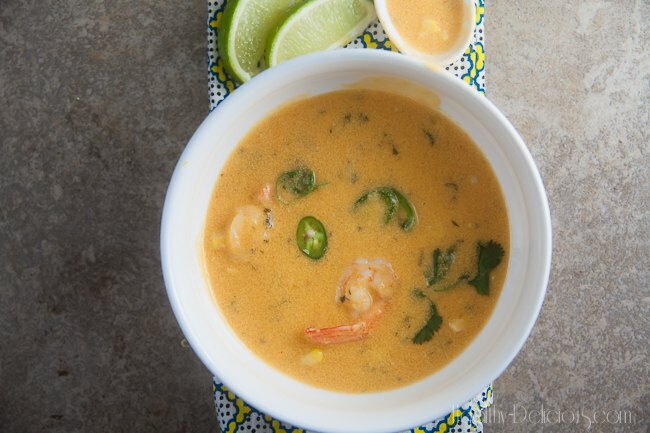 The broth and potato gets combined with coconut milk, fresh corn and red curry paste, then whipped up in the blender. 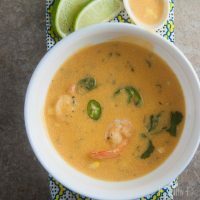 The coconut thickens up like whipped cream and gives this soup an amazing texture. Then you just throw in the remaining corn and some shrimp. i’m eager to make this soup, but I’m thinking of substituting a white potato with a sweet potato. Has anybody done that? And because it’s not corn season, will use frozen corn and chicken broth. Lemon grass and some sambal oelek I think would kick up the flavors a notch. I’m thinking of substituting a white potato with a sweet potato. Has anybody tried that? Good base flavor but a bit watery for us. I also added a bit of thai chile, some lemongrass, and kaffir lime leaves, and used chicken instead of shrimp. Next time I will use less water, more coconut milk, more corn ,more potato, more chile. I agree with Mike. I found it to be too thin. I would use more potato and full fat coconut milk (I used half full and half lite). I doubled the amount of red curry and also added roasted chili paste, plus a little bit of salt. 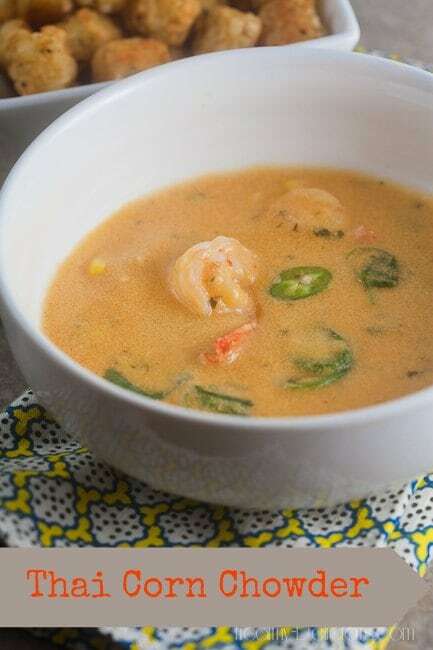 Also, the recipe says to add the shrimp at the same time as 2nd half of the corn (after pureeing the soup). I found the corn to be undercooked and the shrimp to be overcooked. 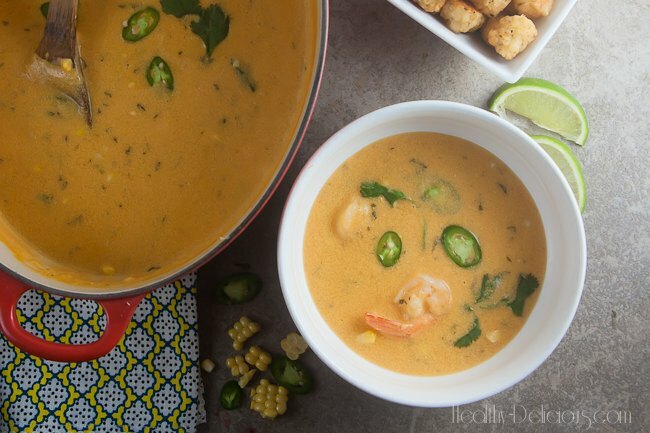 I would not add the shrimp until after simmering the soup with the added corn for at least 10 minutes first. I will def try again! I made this last night with a few adaptations: I used frozen corn kernels as a shortcut, substituting 1.5 cups for the 3 cobs of corn. I also like a thicker, richer chowder, so I reduced the water to 4 cups and it was still way too thin. I also sauteed the shrimp separately in coconut oil and added them to the soup when I served it. 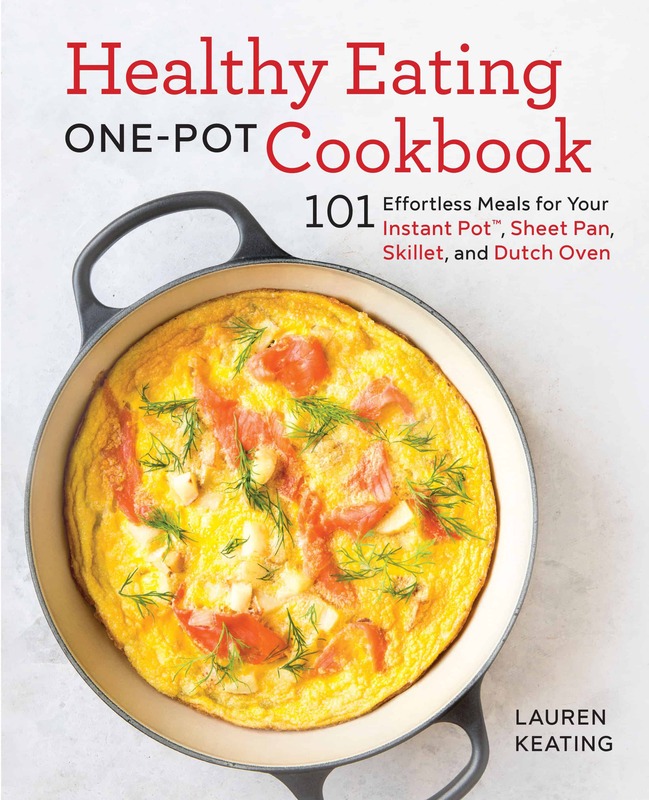 Next time, I’ll try 2-3 cups of water (or some kind of broth), a larger potato (or two small ones) and will double the amount of Thai red curry for a little more flavor and kick! I’m sorry that yours was so thin, when I made it, it was definitely really really rich and thick (almost to thick!). Did you by any change skip the blending step? The blended potato acts as a thickener and blending the coconut whips it up so it gets thick like whipped cream. If you skipped that step, it would definitely be a much thinner soup. The only other thing I can think is that a lot of water boils off when you simmer the corn cobs to make the corn broth, so if you skipped that step (since you used frozen corn) you might have needed to cook the soup longer. Drool. I want this for dinner tonight. That soup looks and sounds very delicious. It would be perfect as well for Bloggers Around The World Thailand Link-up on my blog this month. I’m so ridiculously excited for more soup! Excellent chowder with Thai flavour! I would love to try this with tater tots this time. My family is so much into soups. It also allows me to feed veggies to my toddlers easily. Yum recipe! oh this soup sounds divine. I can’t wait for colder weather to arrive in Florida! This is one of my fave restaurant-ish soups and I love how easy is comes together. Also love the Weekday Suppers group- what a great idea! i’d love to know more about joining, dinner during the week can be a bit of a fail for me sometimes. What an amazing recipe. Totally added this recipe for my must try list. I never thought to use the corn to make the broth. What a great tip! Love it! Pinned and printed and I will be making this soon.